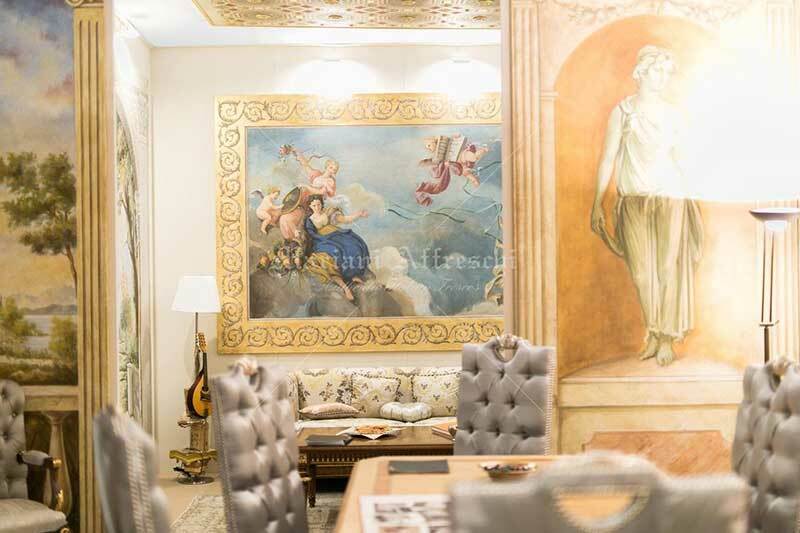 Mariani Affreschi is a leader in the production of authentic frescoes, wall paintings and artistic decorations for interiors, with agencies in Italy and abroad and countless of exclusive projects realised in private villas, palazzos and homes around the world. 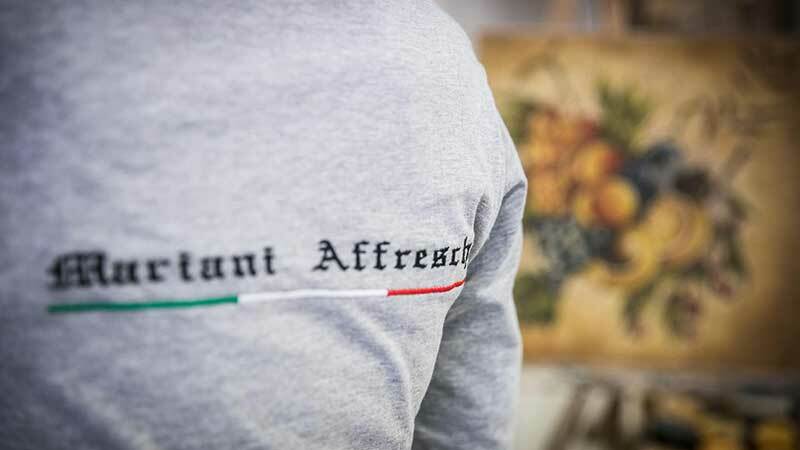 Masters of Fresco Art and “strappo” technicians have been working inside the Mariani Affreschi laboratory for over 30 years, creating a unique team in the international art scene. 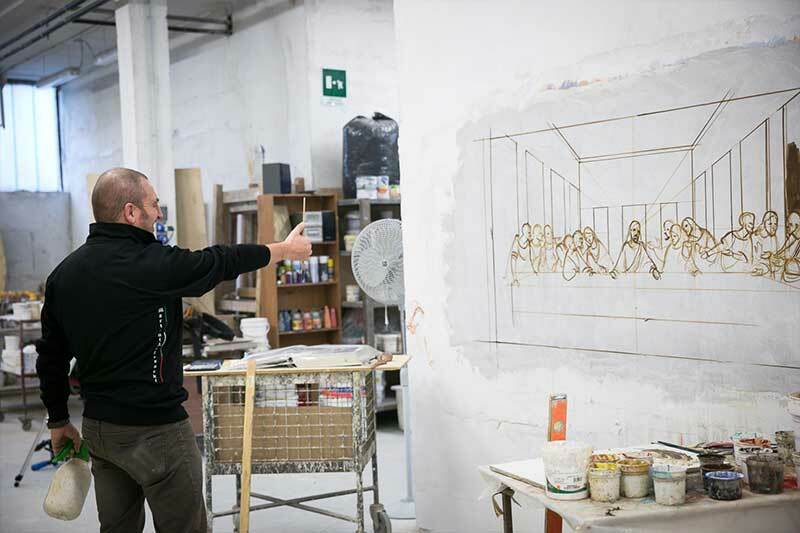 Knowledge of fresco painting, in fact, is now a rare skill in the labour market since very few artists know and practice this form of art, which unfortunately is neglected by many art schools and academies. 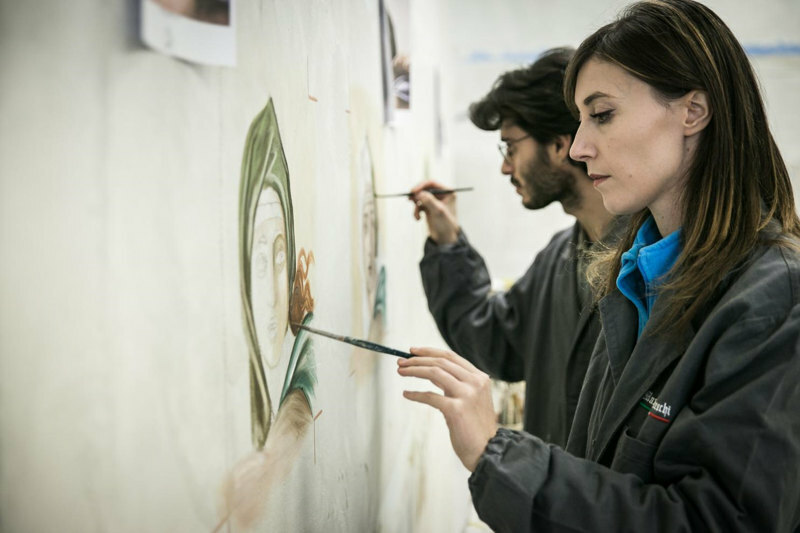 For this reason, Mariani Affreschi felt the need to pass on the noble and ancient technique of fresco painting and in January 2017 opened the doors of its laboratory to students, graduates, and painting enthusiasts, offering customised, individual or group training courses. Each course aims to introduce students to the marvellous world of fresco painting and to allow them to develop this technique according to their needs and abilities, even at their own pace. 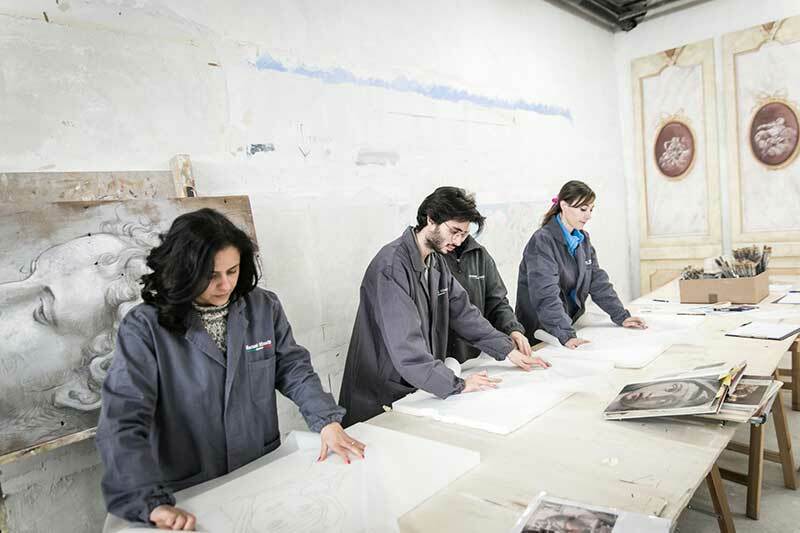 Unlike other schools, the workshops offered by Mariani Affreschi will have a unique added value because students will receive training inside a real company, experiencing the daily life of a real laboratory that produces furnishings and artistic decorations for interiors. 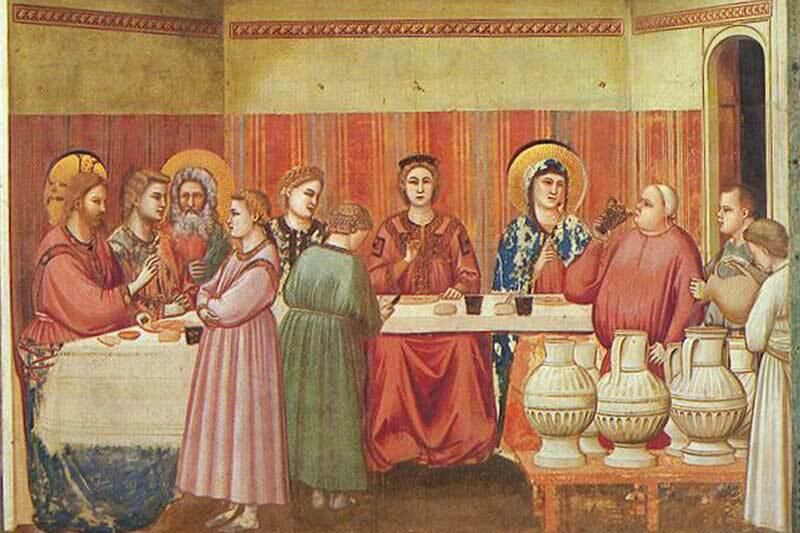 Fresco painting can be said to be the “mother of all painting techniques.” Invented by the Egyptians, it was then passed on to the Greeks, but Giotto was the one who turned it into the universally known technique that still fascinates us today. 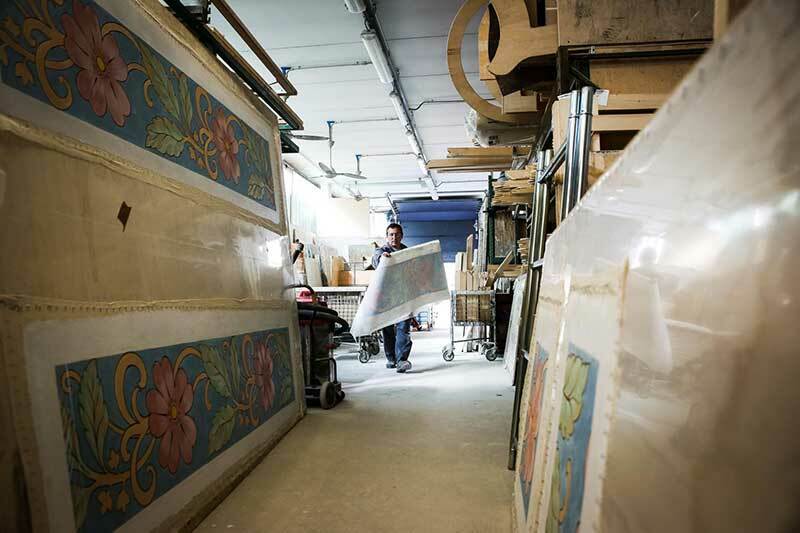 The secrets of the fresco can be discovered in art laboratories, and surely start with the preparation of a good support or surface. The first layer of rendering, known as the scratch coat, is applied to a brick wall using a trowel and float (or smoothing plank). The so-called sand coat is then applied with a long metal spatula and finally the finish coat to obtain a smooth and moist surface (from which comes the word “a fresco” – fresco meaning fresh) on which the painting is executed. This layer is made up of slaked lime mixed with clean river sand. 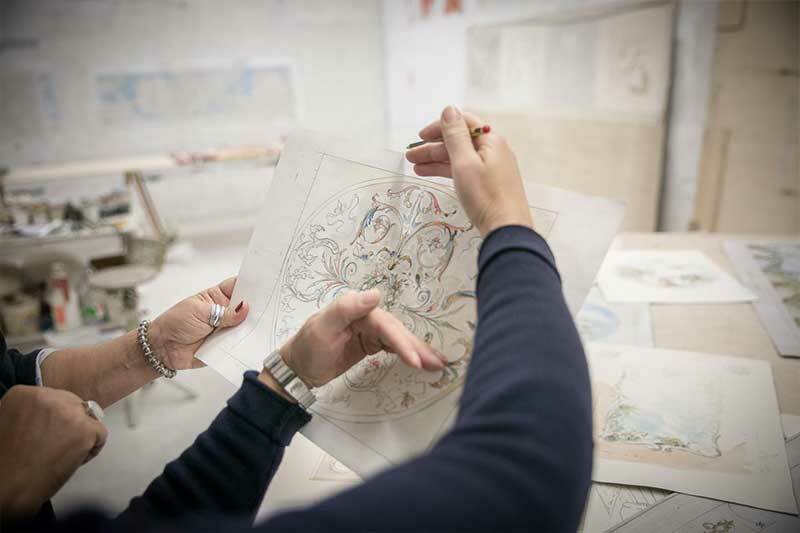 The preparatory drawings are drawn in full scale and are then transferred onto the wet plaster, which initially has a grey colour. There are countless ways to execute this step, from the use of charcoal or ochre to the most common, dusting. The next step involves the study and choice of colours, evaluating which areas to paint first. This technique leaves no room for second thoughts or uncertainties, and everything must already be prepared during the execution phases. In fact, the plaster absorbs the colour immediately, therefore, corrections cannot be made while executing the work, but only at a later time when the plaster has dried. The painting must be performed quickly and without errors, in roughly the same working day, keeping the support slightly moist with water. 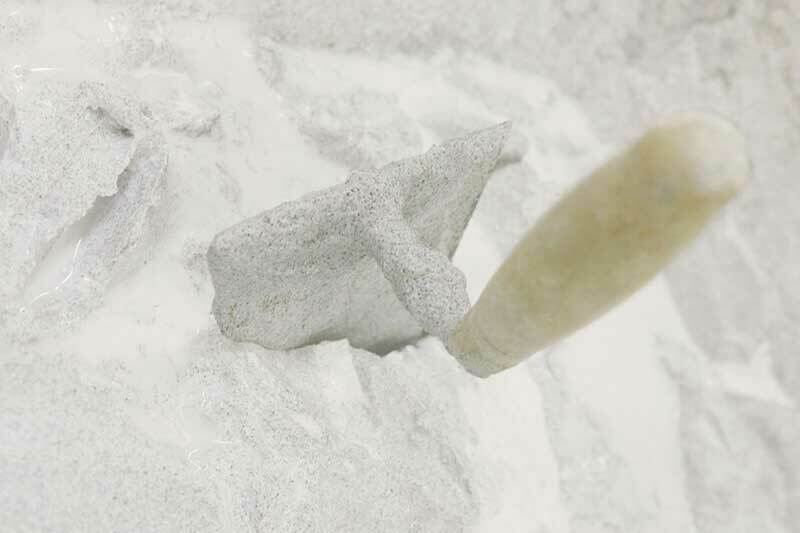 Once dry, the grey lime present in the plaster turns white, incorporating the colours through the chemical process of carbonation which makes them stable and resistant over time. This process takes place due to the presence of carbon dioxide in the air, which combines with the lime to form calcium carbonate. The grains of sand and pigments merge to become insoluble in water. 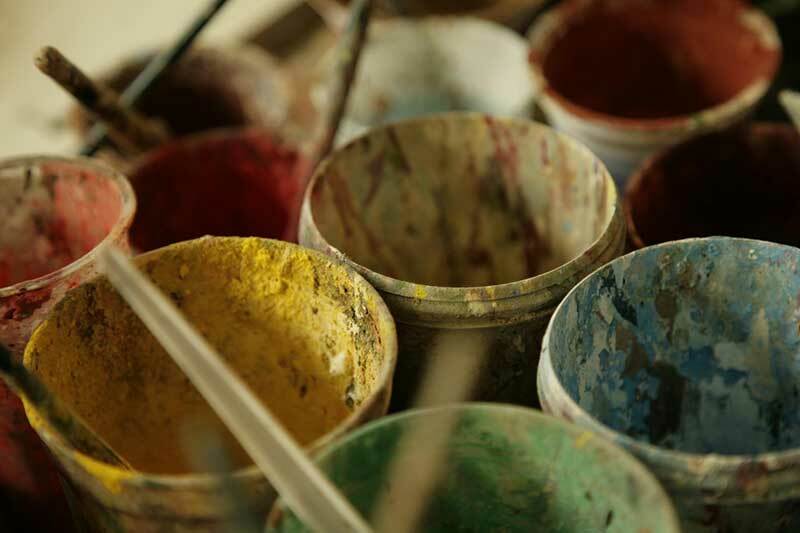 The colours used for fresco painting must be compatible with lime, or must be mineral colours because vegetable or animal pigments would be burned by the lime. The pigments are diluted in water according to a process that requires special attention. In fact, pigments that are too liquid would not be resistant enough and would be “lost.” Instead, pigments that are too dense would not be completely absorbed by the lime and it would be hard to get a good colouring. The colours also tend to change hues once incorporated into the lime. Theoretically speaking, fresco painting seems to be relatively simple however, as will become apparent after this introduction, it requires great skill in terms of execution. Just like in the Renaissance workshops, this technique can only be learned through intense practice, guided and coached by highly proficient Masters who have experienced the numerous surprises of this complex but fascinating painting technique. – master the technique at a professional level, even regarding complex works: for those who want to focus almost exclusively on this technique on a professional basis. Introduction to fresco painting: explanation of the theoretical technique and the materials used. Preparation of the wall or support: application of the various layers such as scratch coat, sand coat and finish coat; instructions on how to keep the support moist and how the carbonation process actually works. 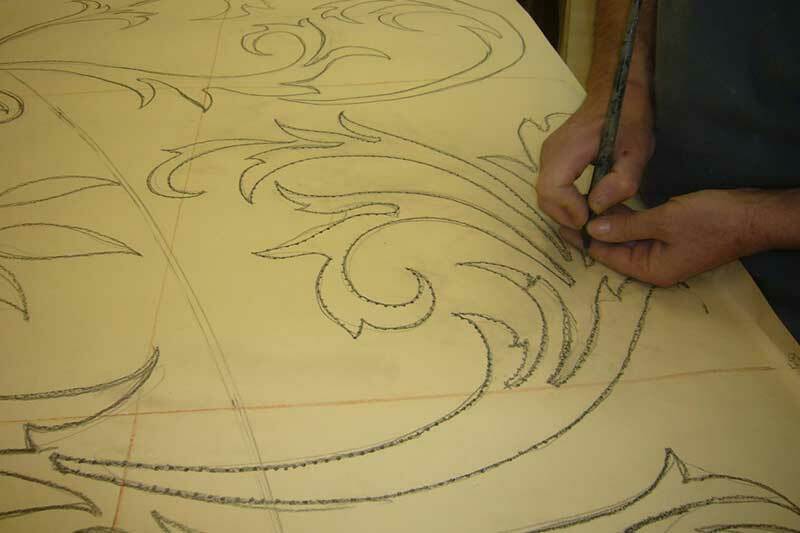 Choosing of the preparatory drawing and transfer onto the support: this stage can be performed in various ways, such as sinopia (full-scale composition) and dusting. According to the course chosen, the drawing will have a different subject, taking inspiration also from great artists of the past. For example, students may explore themes such as decorative or ornamental elements, trompe l’oeil, medieval figurative art, renaissance and neoclassical art. Preparation of the material: choice of pigments to be used, explanation of their nature and composition, practical advice on how to dilute the colours and tests aimed at understanding their transformation after the carbonation process. Pictorial execution: what colours to apply before others and how to blend them; tips and techniques on how to overlap the pigments and how to obtain bright light points and shadows. Final analysis: difficulties that may slow down the realisation of the fresco and advice on how to address these problems in subsequent works; possibly with dry touch ups. The courses will have different durations ranging from a few days up to a month, and will be structured according to the type and difficulty of the course itself. They will be held during the normal working hours of the company (weekdays from 8.00 to 17.00). Students can participate in group courses, organised in advance or attend a course tailored to meet their specific needs and expectations. This is the method we prefer because unlike other techniques fresco painting requires learning without restrictions or rules. Passion, personal goals and basic skills are the essential ingredients to define a training program tailored to each individual student. 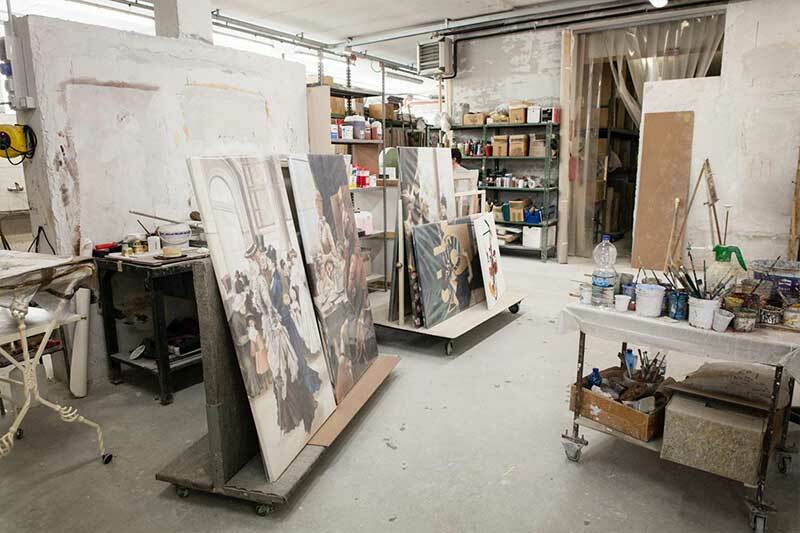 The courses will be held in Mariani Affreschi’s production laboratory, where art enthusiasts will be captivated by the layers of frescoes produced by Art Masters during the execution of various works for different customers, which will act as a backdrop to the courses themselves. 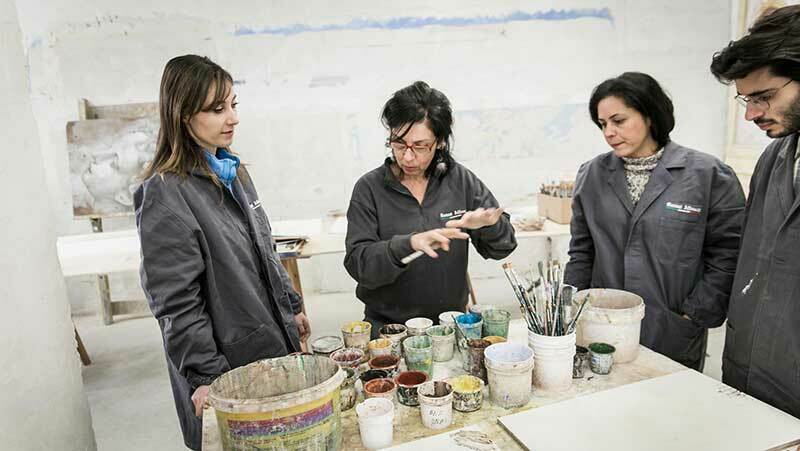 The Mariani Affreschi Art Masters will pass on their knowledge to students and will assist them personally throughout the entire training process. At the end of each course, Mariani Affreschi will issue a certificate of attendance to each student. In accordance with the Art Master/teacher, this certificate will outline the training received and the results achieved by the student. 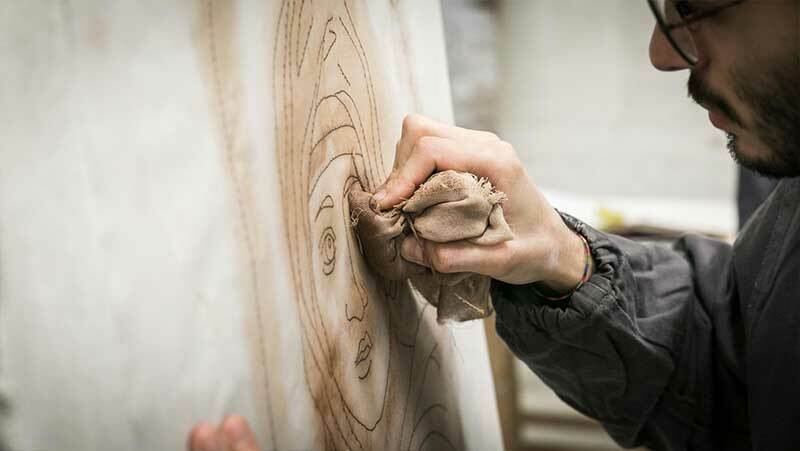 By participating in the courses offered by Mariani Affreschi, students will have the opportunity to continue to develop their fresco technique through traineeships, job opportunities and possible business collaborations, also with Mariani Affreschi itself, who may offer professional collaborations to the most talented students, both for including new creations in their catalogues, and for joining the team to fulfil orders and other projects commissioned in Italy and abroad.